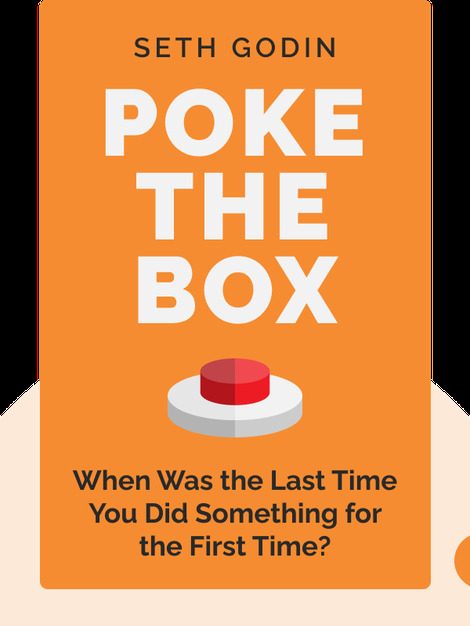 Poke the Box (2015) dives deep into today’s connected economy, where initiative and innovation are more important than financial capital or prestige. If you want to embrace innovation and be the first to stick your neck out with a new idea, you must overcome your fear of failure and keep bouncing back when you get knocked down. This is a handbook for those who need a push to take their ideas off the drawing board and into the real world. 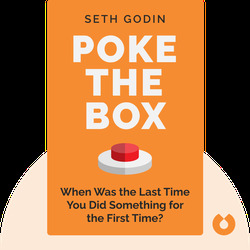 Seth Godin is the former vice president of direct marketing at Yahoo! and the current CEO and founder of Squidoo.com. He is also the author of the world’s most popular marketing blog, as well as over a dozen internationally bestselling books, many of which have shifted the way people think about marketing. These books include Unleashing the Ideavirus, Tribes and Linchpin.